Few things are more rewarding than seeing the world reflected in your child’s eyes. Trust those eyes to our children's opthalmology group, a team that specializes in caring for and protecting children’s delicate and developing eyes, so they can get on with exploring and learning. Our ophthalmologists offer medical treatment for a wide range of eye conditions and perform a wide range of surgical procedures to correct eye defects or conditions. Our ophthalmologists are pediatric-trained, and we use procedures, supplies and equipment designed especially for children. 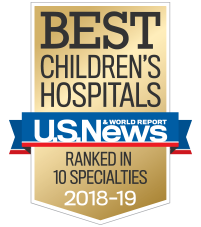 Our anesthesiologists are specially trained to keep kids safe and comfortable during and after surgery, and our entire staff is committed to improving the quality of life for children and families.